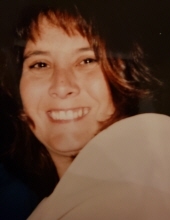 Valerie Leette Kesseler, 51, was born on April 9, 1967 and passed away at her home surrounded by family on February 1, 2019 in Houston, TX. She is preceded in death by her mother Imogene Beck and father Norman Paul Broussard; and sister Pamela Kaye Wright. Valerie is survived by her loving husband Stuart N. Kesseler; children Kristina Nicole Gonzales and husband Eric, Stefani Margaret Railey and husband Justin. She is also survived by Father and Mother In Law Robert & Carol Kesseler. Sisters Tammi Mata andAlie Lewis, Kelly Teinert and Stephen Teinert and special sister Katie Denson. Brothers Jessie Kenneth Benton and Bruce Broussard, Brother in law Kelly Kesseler. Her beloved grandchildren: Cello Green, Kaydence Ginn, Sophia Gonzales and Emmett Railey. She is also survived by nieces and nephews Shaun and Kristie, Chris and Michelle, Shannon, Tara, Leigh Ann, Garrett and Kate, Shelby, Tristan, Zack and Godson James, Caressa Linden, Nick, Brian Kliem and special niece Madison. She was loved by many great nieces and nephews. We ask that in lieu of flowers that donations to the ASPCA or the American Cancer Society be made on Valerie's behalf. To send flowers or a remembrance gift to the family of Valerie Leette Kesseler, please visit our Tribute Store. The family will receive friends at 11:00 A.M. with the Celebration of Life Service beginning at 12:00 P.M. at Cypress Creek Funeral Home and Crematory. "Email Address" would like to share the life celebration of Valerie Leette Kesseler. Click on the "link" to go to share a favorite memory or leave a condolence message for the family.